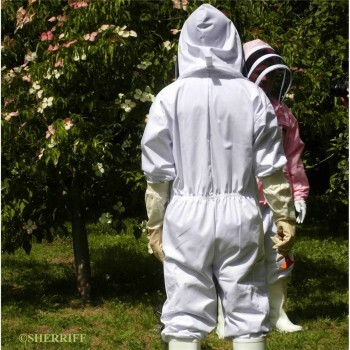 Categories: Bee suit, Bee Suits, Bee Supplies, Beekeeping Clothing, Beekeeping suit, Beekeeping Supplies, S36 Apiarist - Full suit. 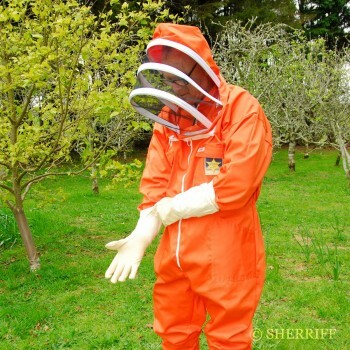 Tags: Bee Suit, beekeeping suit. 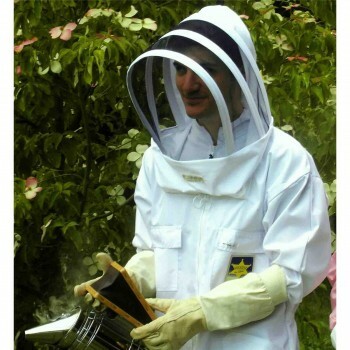 Our beekeeping Apiarist Full suit with integral hood with our unique ClearView veil so you see your bees perfectly clearly and ‘the Original’, is without compare. 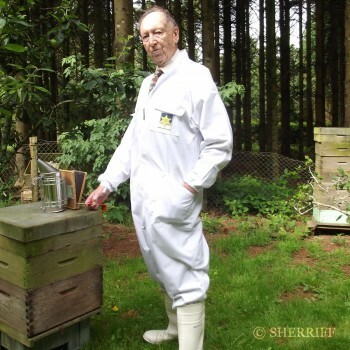 First designed by B J Sherriff whilst running 400 bee hives in 1968. 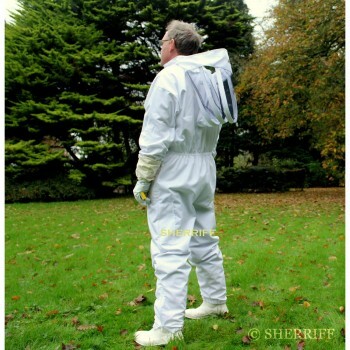 Our White protective bee suit is the item of beekeepers safety wear that has been the most tried and tested. 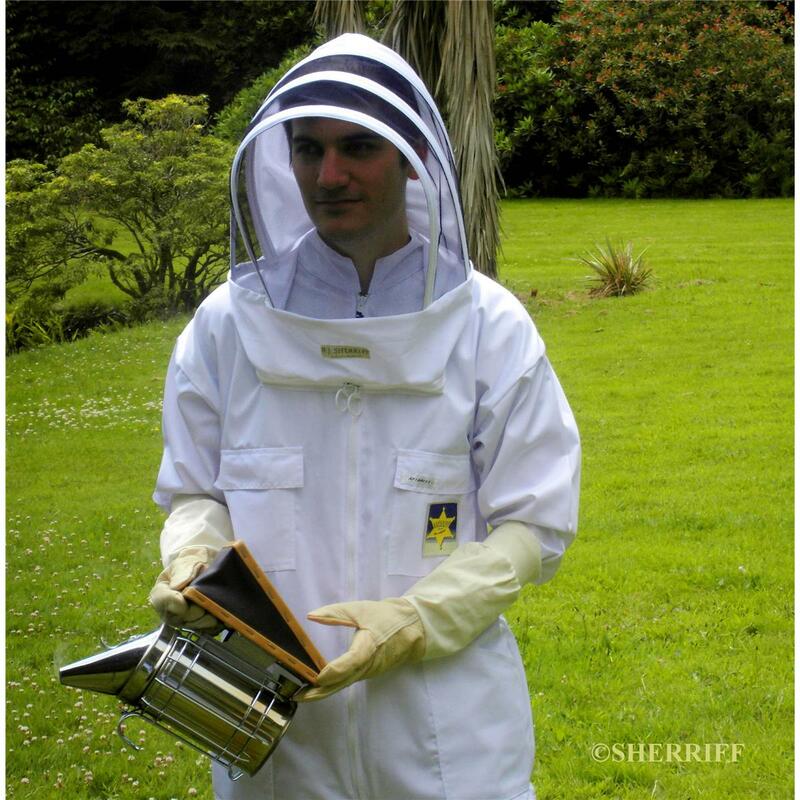 Whether you are a novice beekeeper or a professional the Apiarist offers a very high level of security. 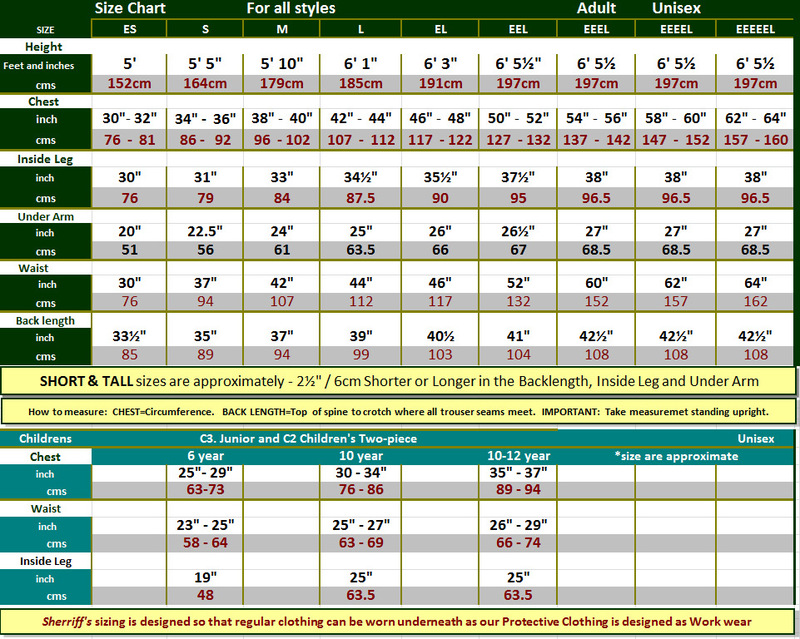 Our safety wear comes in a variety of sizes which are designed to be roomy to fit over regular clothing – to ascertain the correct size please use our conversion chart with videos on how to measure for your perfect fit. 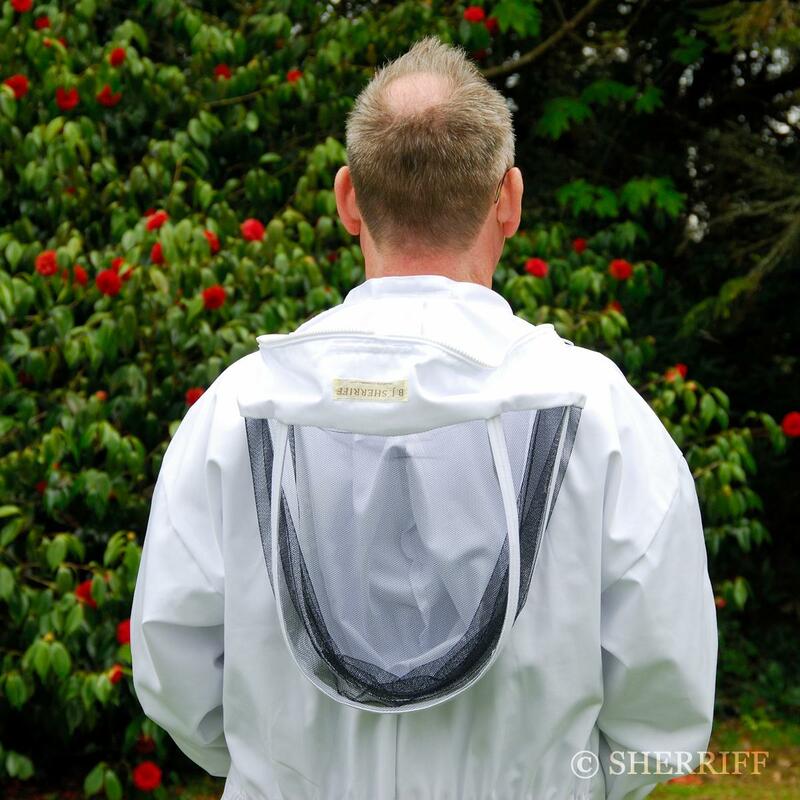 Our ClearView veiling unique to Sherriff’s has been designed for perfection in viewing so you can see your bees better- it is airy and non claustrophobic. It comes with a recommendation endorsed by thousands of beekeepers, professionals and hobbyists alike and is the only garment on the market today which has Sherriff’s unique ClearView face net which gives near perfect viewing and makes all the difference when looking at your bees. 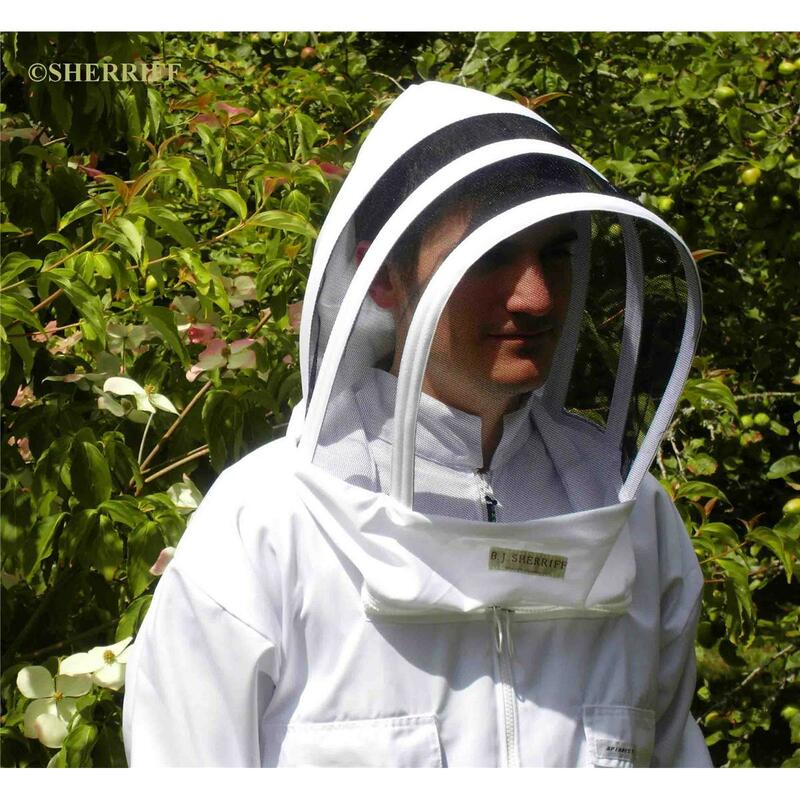 Unlike copies of our hood design we don’t use square screen mesh but our researched purpose made veiling specifically for beekeepers to see through. As worn by Chef James Martin on his programme ‘Food Map of Britain’ first shown on BBC2 18.30pm (GMT) 27 September 2013 where he was assisting Marcus, a beekeeper with hives on the Yorkshire Moors and later demonstrated using the rich heather honey in a ‘roly-poly’ fruit meringue dessert! Known as the long life suit due to the exceptional overall quality fabric and sturdy construction with the clearest veil on the market today - it offers you excellent vision and more enjoyable beekeeping. 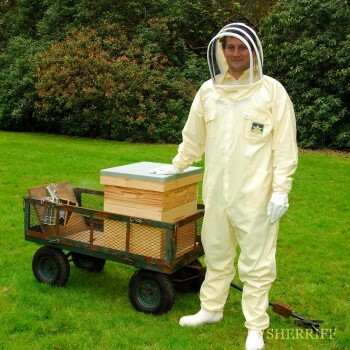 The perfect choice for your apiary needs. The Apiarist comprises a roomy boiler suit/coverall with drop sleeves and robust central vertical zip. Hood is completely detatchable by means of our Sherriff’s Twin-zip system, or removed completely for easy laundering. 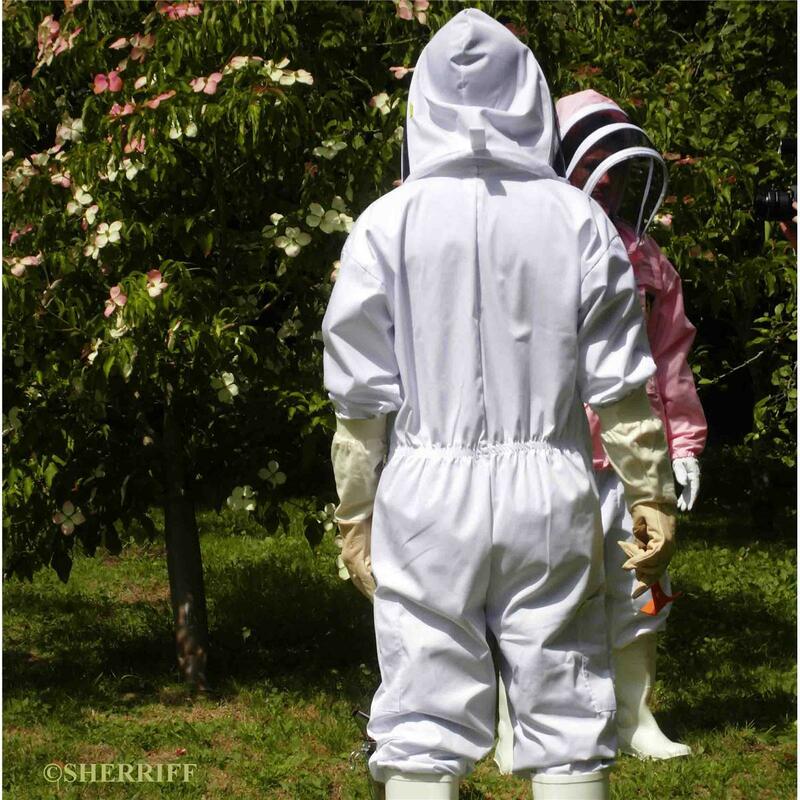 The hood can be thrown back when not in use to rest lightly on shoulders. 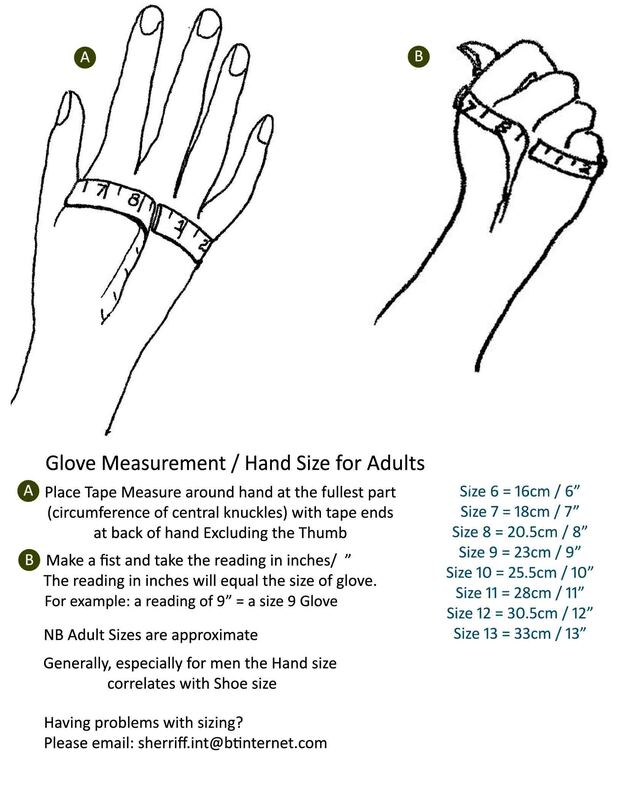 Features: the easy pull zippers at collar, front and ankles are tough. 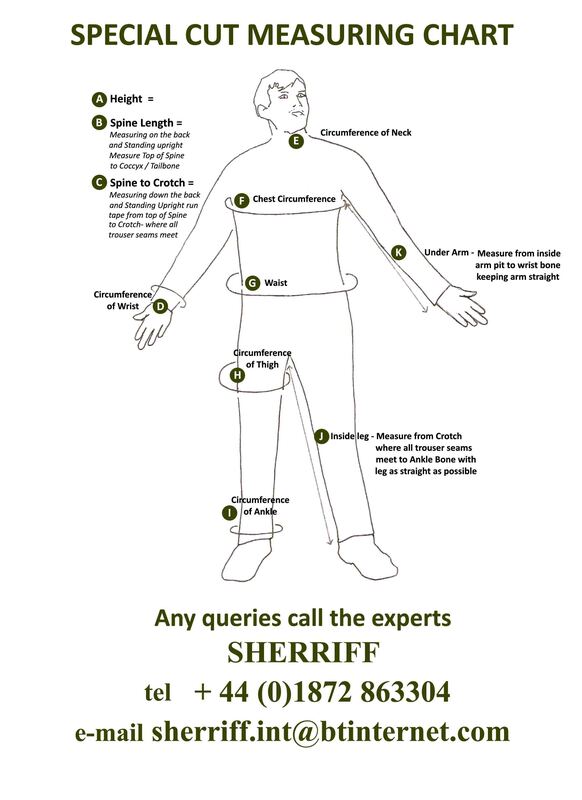 Extra strength stitching, elasticated back waist and ankles, thumb loop to retain cuff in position, velcro flapped breast pockets (pen pocket), roomy hip/thigh pockets, hive tool pocket and EPIPEN pouch, key ring clip in lower pocket to keep house and car keys safe. 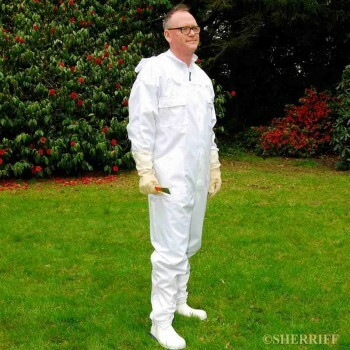 Veil: Sherriff’s own sturdy ClearView black nylon mesh for exceptional vision and protection. 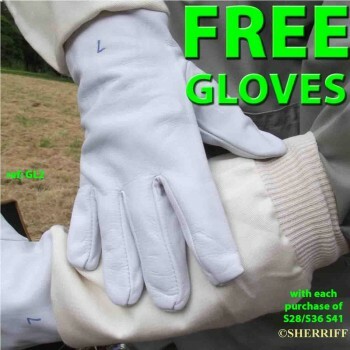 NB Sherriff’s recommend that regular clothing be worn under this product which is classifed as workwear.